You know it's a slow news day when these kinds of stories capture the headlines. Here's a guy that gives the rest of us dufuses a bad name. In Austin, Texas last week some guy tried to rob a gas station with a gun... a caulking gun! He pointed the caulking gun at the attendant and demanded money. I wonder if he had "beady" little eyes and moved quickly. This is just so stupid on so many levels. "Uh, is that thing caulked and loaded?" "Hands up. Any sudden moves and I'll seal you." "No one will suspect me. I'll have an air-tight alibi." The gas station attendant was some 68 year-old dude. 68? Yeah, he'd probably just been let go as a WalMart greeter. Anyway, he hit the 17 year-old robber over the head with a plastic trash can who ran away with his buddy...a transgender prostitute he'd picked up earlier in the evening. Doesn't this story just keep getting better and better? "Is that a caulking gun in your pants or are you just glad to see me." "Hey, big boy, you're not the only one with a silicon job." "Aw damn, my caulking gun just prematurely ejaculated!" Police tracked the suspect down to his mobile home, where he lives with his mother. Somehow I could just tell the guy lived in a trailer park. Seems the motive for the botched robbery was the pair were raising money to buy and smoke crack. It was doomed to fail, though. 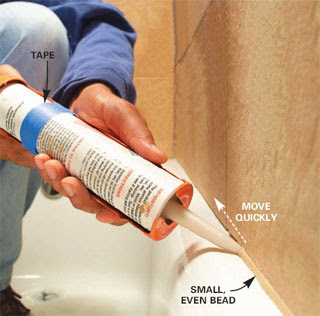 Caulking fills cracks. In the end, I guess you could say the whole affair was one big caulk-up! I feel safer going out at night, knowing that I own a caulking gun... and I know how to use it! 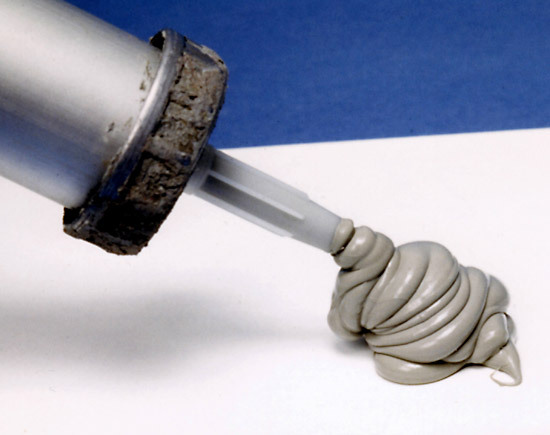 Boom-Boom: Hey, just make sure you don't go off half-caulked! Do you have to have a license for a concealed caulker? I think here in AZ you don't (anymore) it's our solution to border problems. Ahhh, my morning groan. Loved it! The clerk probably said something like, "Now don't get 'caulky' with me, young man! ", which caused the robber to hit him. Quirks: Don't they issue caulking guns to all law enforcement officers? It's why you have a sealed border. 00dozo: That was a good one! I think you've sealed the deal! Holy grail Batman!! Sweet little double entendre in case you missed it. "...a plastic trash can who ran away with his buddy..."
Those things have a hair trigger. It's a miracle that no one got caulked in the face. What a moron! Here in CA we have an "open carry" policy toward caulking guns. It's just the caulk we can't walk around with out in the open. That's one lesson I won't soon forget. Leeuna: Don't you just hate when that happens? It sure would have sealed the deal for me. Tgoette: What would the world be coming to if everyone walked around with their caulk out. Sheesh. So, I guess that makes me the caulk of the walk. 00dozo: A caulk or dude'll do.